D Marriott Plastering - Painter/Decorator, Plasterer based in Epsom, Surrey. 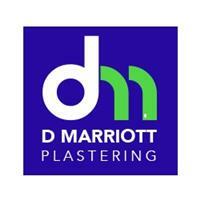 D Marriott Plastering is a specialist plastering service based in Epsom, Surrey. We cover all aspects of interior and exterior plastering for both residential and commercial projects in Surrey, South West London and surrounding areas. Our Promise: We are happy to offer customers a free, no obligation estimate for any of our services. As part of the estimate we will assess the site, offer professional advice and quote for the work required. As part of our preparations, when we arrive on site we always cover up the work area using appropriate sheeting to reduce the dust and debris left behind and to minimise the risk of any potential damage. We always maintain the highest standards of workmanship regardless of the task.